Yesterday was the Chinese New Year, the most important of traditional Chinese festivals. You think of the dragon dancing in the parade, Chinese lanterns and red envelopes. I always look up what’s next in the Chinese zodiac. This year is the 30th year in the Chinese 60 year cycle. It’s the year of the Water Snake. The five elements of the earth are very important in traditional Chinese mythology, and they have a 12 animal zodiac that corresponds with each year. The Yin and Yang also play a role in the Chinese New Year. What I’m most interested in, though, is how many of these types of calendars, zodiacs, and other methods of tracking spans of time that have been developed over the years of human existence. Some writers have developed their own as well, in their fiction books. All have their own traditions, specifics, etc., along with the people (and fanatics) who follow them. I enjoy learning about all of these, seeing their differences and similarities and what people have come up with for characteristics of these signs. How well do you match up with your sign, in both zodiacs? 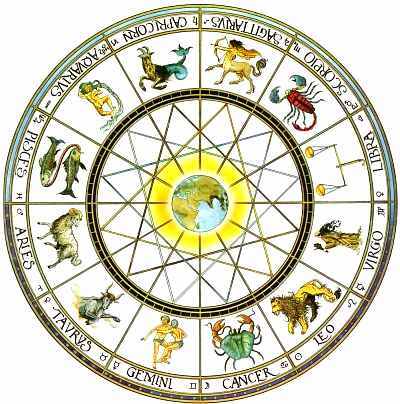 What other zodiacs or calendars do you know of or enjoy learning about? Do you have a favorite created by a fiction author?